As much as I love a lot of traditional Christmassy things, I have to put my hand up and say that I'm not much of a fan of Christmas Pudding. If you're the same, why not try this interesting twist on the classic Lemon Drizzle Cake instead? Baking during the Christmas holidays is one of life's little pleasures, and it's a great time to try out some new recipes for your family and friends to enjoy. 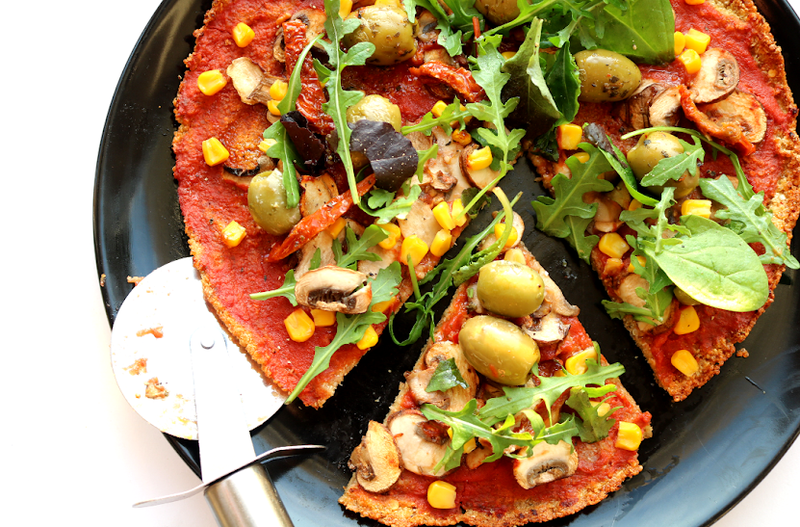 I stumbled across this recipe from Waitrose during a recent clearout of some old newspapers, and I knew that I had to give it a try because it looked so beautiful! 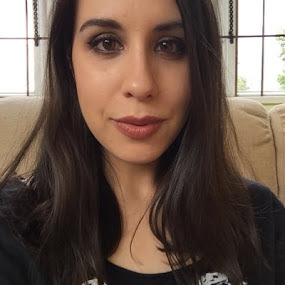 I adore Lemon Drizzle Cake anyway (who doesn't? 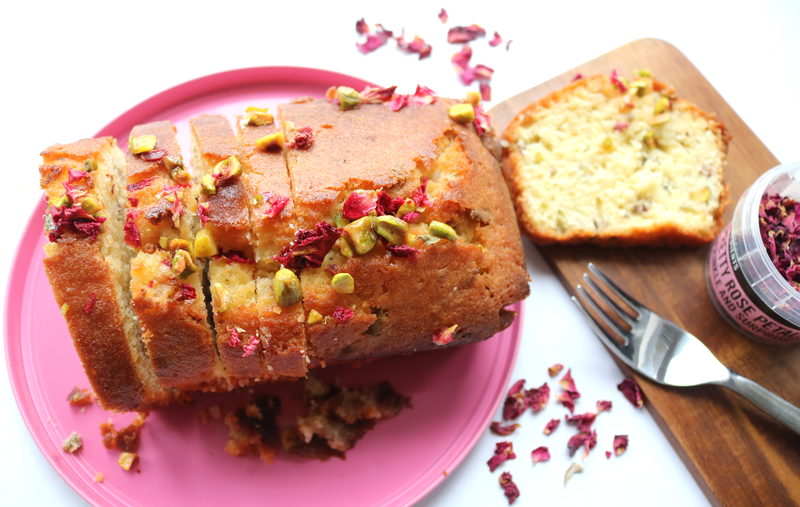 ), so this version which features Rose and Pistachios, gives the much-loved classic recipe a bit of a Middle Eastern twist, for something different to share on the table this festive season. 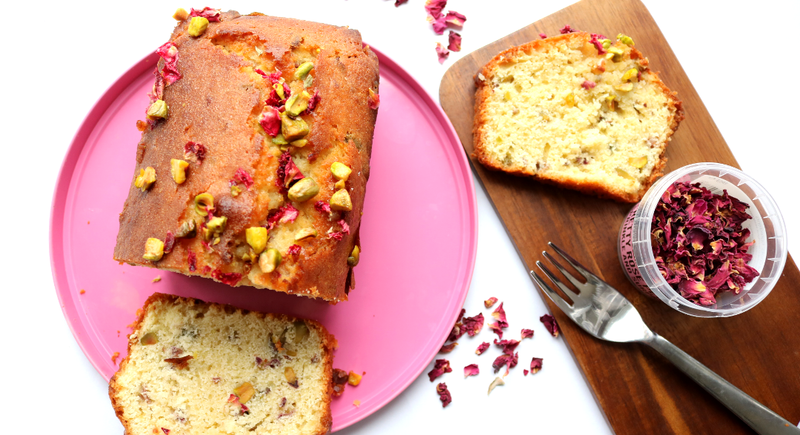 The combination of flavours works incredibly well, with the Pistachios giving the cake a little distinctive nutty crunch, and the Rose adding some delicate floral hints, as well as that gorgeous decoration. My main tip to ensure that a cake like this turns out lovely and soft in the middle, is to make sure that your butter has been softened. It can be all too easy to try and skip that step, but if you attempt to cream and blend butter that's still too hard, you'll simply end up with a disappointing cake that's thick and stodgy inside. Instead, I suggest following Mary Berry's advice and soften the butter by cutting it into large cubes and placing them in a lukewarm bowl of water for around 10 minutes. All you need to do after that is drain off the water and you're good to go with perfectly softened butter that will give you a great base for a delicious cake. Preheat the oven to 180C / Gas Mark 4. Grease and base line a 900g Loaf Tin. In a large bowl, cream together the Butter, Sugar and Lemon Zest until pale and fluffy. 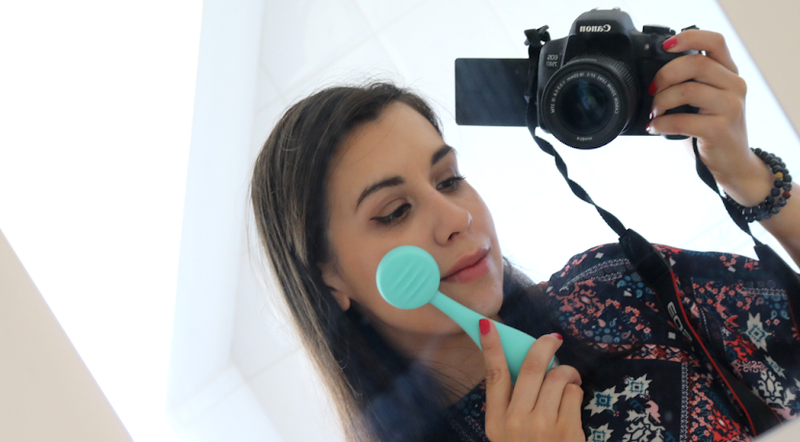 Whisk in the Eggs, one a time. Next, lightly stir in the Flour, Rose Petals and Pistachios. Add the Lemon Juice and gently mix to combine everything together. Spoon this mixture into the prepared Loaf Tin and bake for 40-45 minutes until it's golden on the outside and a skewer comes out clean when pressed into the centre. 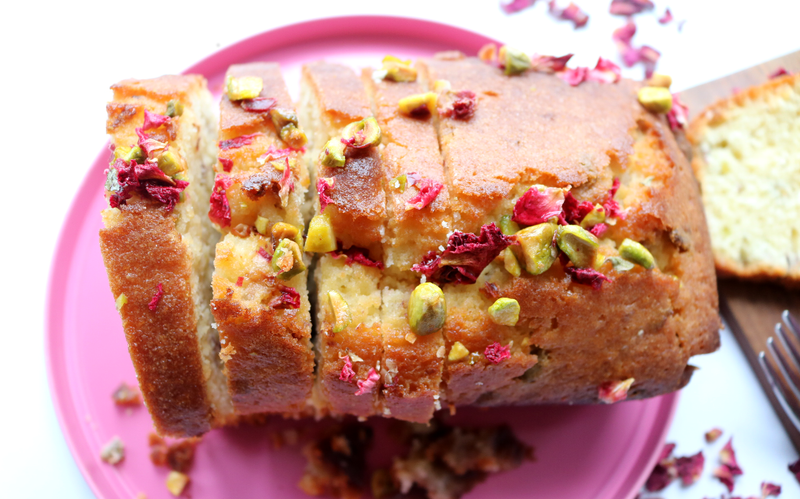 While the cake is baking, make the Drizzle by gently heating the Lemon Juice, Sugar, Rose Petals, Rose Water and Pistachios in a saucepan, until the sugar has dissolved, Allow to cool slightly. 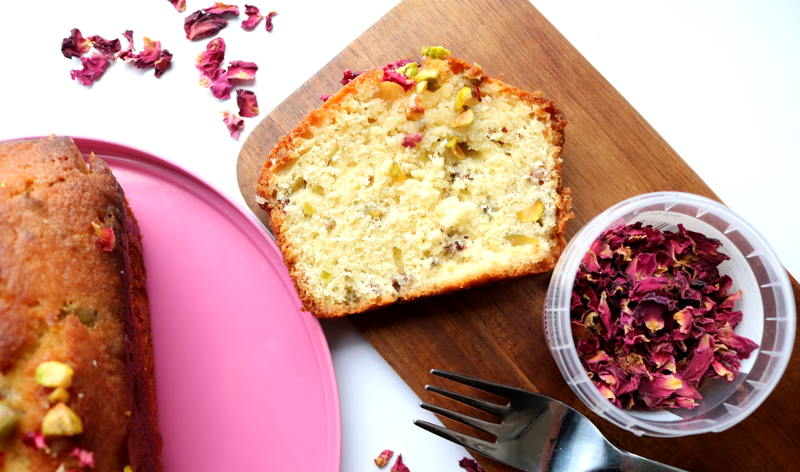 When the cake is done, allow it to cool, then pour over the Drizzle and Garnish with a sprinkle of Rose Petals - enjoy! What cakes are you baking this Christmas? 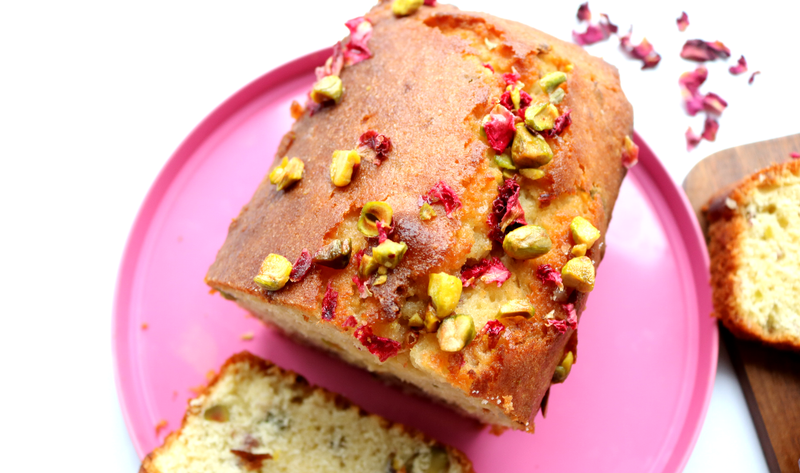 I absolutely love rose and pistachio as a combination adding lemon the mix - well that sounds mouthwatering.